Representing Brooklyn, empanadamn is a DJ’s DJ. He effortlessly mixes & blends tracks across genres—winning over the dancing feet of wall flowers, party animals & music snobs simultaneously. Cutting his teeth in the hip-hop & dance scenes via radio & music promo in the mid-90s, empanadamn broke out to tour nationally, warming up the stage for likes of the legendary Isley Brothers, OutKast & The Roots. 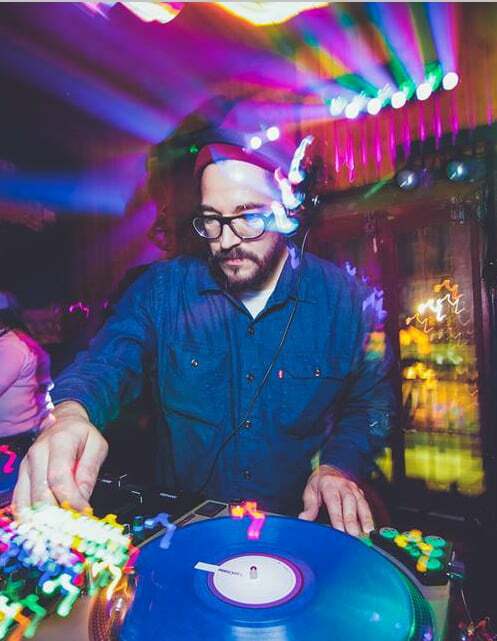 Keeping in the mix locally, empanadamn has played alongside his talented pool of music friends The Rub DJs (Best Party In NYC), DJ Z-Trip (DJ Hero / Serato Scratch Live) & Neil Armstrong (adidas / Jay-Z). When not toiling behind the decks in the club, you’ll find empanadamn rocking anywhere from a silent disco rave in Times Square to a secret house party in Brooklyn. Follow empanadamn on Twitter, Instagram, and his website.